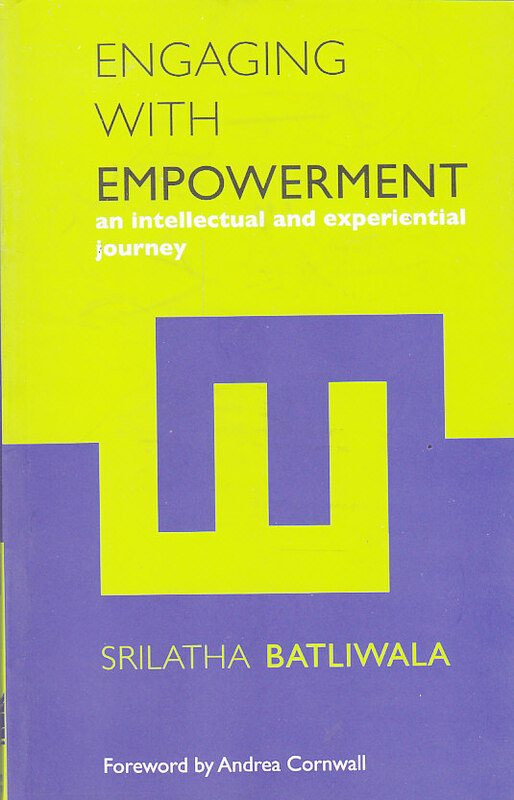 Engaging with Empowerment is a fascinating collection of writings in which Srilatha Batliwala, feminist thinker and practitioner, explores the many dimensions of what empowerment means for, and to, women. Categories: Women Unlimited, Sociology and Anthropology, Women's Studies. Tags: Women Unlimited, 9788188965281, Association for Women's Rights in Development, AWID, feminism, gender equality, Indian development, Indian education, Indian feminism, Indian grassroots activism, Indian politics, Indian women, Indian women's movement, Indian Women's Struggle, International Women's Rights Network, women and development, Women's empowerment, women's rights, women's studies. In Engaging with Empowerment Srilatha Batliwala traverses key sectors, including education for women, politics outside political systems, grassroots movements, energy for sustainable development, and a controversial questioning of a rights-based approach to women’s equality. Looking back on a life lived through commitment to a cause—rather than to an organisation or to a sector—and working for it at many levels and locations, she traces the evolution of the concept from the late 1980s till now, unravelling its ambiguities, highlighting insights gained through practice, and analysing how and why it has been depoliticised and reduced by the state and aid agencies. Srilatha Batliwala is currently Scholar Associate with the Association for Women’s Rights in Development (AWID), a premier international women’s rights network. She has worked for gender equality and women’s empowerment for over 40 years through grassroots activism, advocacy, research, training, and building theory from practice. She has written extensively on women’s empowerment, transnational civil society, women’s movements and feminist leadership.